You can download a zip of the latest version. This zip file can be extracted inside “on-http/static/http” to serve the UI from the MonoRail API server. Source code for the web user interface is available at https://github.com/RackHD/on-web-ui. There is also a README for learning how to about UI development. Open web browser, and then go to the following URL http://<ip>:<port>/ui, replace with your own ipaddr and port. 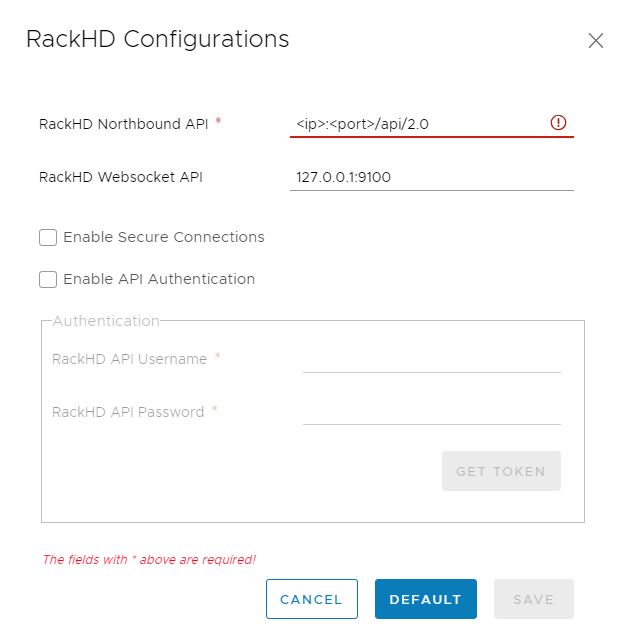 Enter your RackHD Northbound API, then click save button, if your ip address is invalid, it will warn you RackHD northbound API is inaccessible. In addition, we support secure connection https and API Authentication, you can check these options in the configuration panel if you want. Then you will see all discovered nodes in the panel.